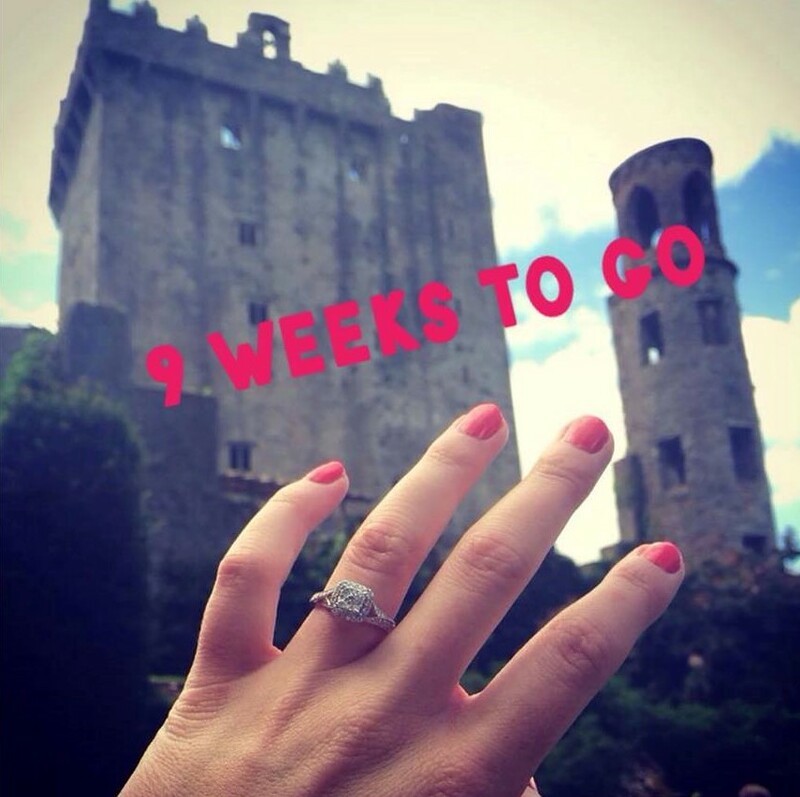 It’s now 9 weeks until my wedding day and the bridal prep has well and truly begun. A few months ago I began to really focus on my diet and lifestyle. I wasn’t wanting a drastic change, I’m just focussed on looking my absolute best for my wedding. I’ve always been interested in keeping fit but eating crap is one of my favourite things to do and we all know that can’t continue, especially when one is trying to shape up for their wedding day! Plus it’s not just my body that physically changes either, it’s my skin that gets affected too. So when I see spots on my face and I’m not talking about the hormonal kind, that’s when I know I need to lay off sweet treats for sure! It’s so hard though but one of my mantras that I believe in is, “everything in moderation”. Now I’m no beauty or fitness expert, but I am fan of both, so I thought I’d share with you, what I’ve been getting up to in preparation for my big day. Exercise – I know not all brides want to slim down for their wedding day. We come in all shapes and sizes and that’s cool but I personally wanted to lose a few pounds because I was after getting a bit too carefree over the past year and I gained weight without even noticing. That was then, this is now and thankfully I’ve reached my goal weight but maintaining it is the hard part. I’m a healthy size 12 and I’m happy at this size so I can’t afford to slip up and going to a gym class is the best way for me to stay in shape. The mix of classes at my gym are great, it’s thanks to those classes (and eating well) that I’ve come from being a size 14-16. I won’t lie, I might only attend one class some weeks but I play tennis religiously every week too and walking my energetic dog is something else I have to do, so finding time for everything is tough especially with work and of course Olivia. Right now though, my main area that I’ve begun focusing on are my arms, as they will be the most exposed area on the day (as it is for most brides) So yeah, I’ve started weight training in the gym as well as at home & I’m hoping for nicely toned arms in 9 weeks. Fingers crossed! Good Hair Day – Hair is a major thing for any bride and I’ve been taking extra good care of mine lately. I’ve got baliage done to my hair so I’ve been making sure the ends don’t get too dry and brassy looking. My go to product to prevent that is Unique One Leave In Spray – I use this after washing my hair along with the correct shampoo and conditioner. Salon products cost wayyy more than supermarket brands but they are so worth it and I do see a difference between both types. I’ve also had a few in-salon Dermabrasion treatments by Nioxin done too. 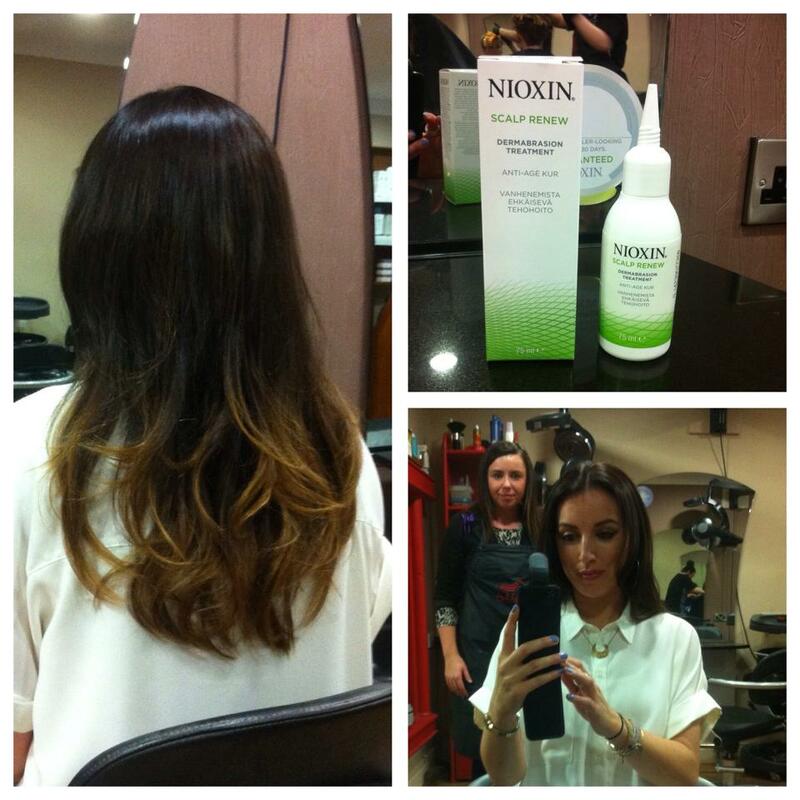 Nioxin is the go to product for thinning hair, I first started to use Nioxin a few months after I had Olivia and I found it great. It helps achieve fuller, thicker hair. I like to change up my hair products every so often and I’ve taken a break from Nioxin shampoo and conditioner for the moment but I found the dermabrasion treatment brilliant, my hair is a lot thicker than usual. I’m having regular trims too, I was so bad for going to have my hair cut before I started planning my wedding and now that I’m being good and getting my hair cut regularly, my split ends are no more. All of this is super important for fab hair on our wedding day and I actually had my first bridal hair trial recently too, I was a bit disappointed with the results because it didn’t turn out the way I wanted it to, but in a way I shouldn’t have expected to walk out with the exact hairstyle on the first try. So I’ll make another appointment and go in with my stash of hair inspo photos again and hope for the best! Having 3-4 hair trials is the norm apparently so keep that in mind. Eyebrows – I finally have my brows just how I like them and maintaining the shape now is key. If you need to grow some hair to make your brows thicker I advise having a proper consultation with a brow expert. I’ve seen and experienced some really bad brow jobs, not all beauticians are good at this so it’s important to go to someone that really cares and knows what brow shape would suit you best. Teeth Whitening – I’m finding it so hard to whiten my teeth at home. I’ve tried those iWhite Instant Teeth Whitening Kit and I can honestly say I didn’t find them good. Apart from feeling very uncomfortable while the trays were on my teeth I didn’t notice my teeth getting much whiter either. I don’t smoke but I do drink black tea so I know that’s the problem right there. I’ve now started using Swiss Dent Toothpaste which cost 25euro for a tube! Yes 25euro! And when I bought it I thought I was onto a winner and I’ve even cut back on drinking my black tea. I’ve been using the toothpaste 3 times a day for the past two weeks now and still I don’t see them becoming any whiter. Seriously like?! I’m going to use the whole tube before I really decide if it doesn’t work though. I see myself resorting to teeth whitening from my dentist and I really didn’t want to spend that much on it but I want whiter teeth. Oh first world problems eh?! Nails – Oh I’m not one of those girls that have their nails done religiously every few weeks. I love nail polish but I like my nails short(ish). For special occasions though I like having a bit of length & what I normally do is apply false nails (oval edge shape) and paint them myself. It saves money and does the same amount of damage to my nails as having them done professionally. But for my wedding day, my sister booked me and the rest of the bridal party in to have our nails done a few day’s beforehand, I’m going for a neutral shade, not only is it in fashion, it’ll also suit my whole look the best. Vitamins/Supplements – On recommendation I was told that Perfectil – Skin, Hair & Nails was worth taking. Most day’s I do drink my 2 litres of water and have my five-a-day but I’m only human and sometimes that doesn’t happen so I figured taking these daily might be that extra boost I need. I can’t say if they’re working yet as I’m not taking them long enough but I’ll keep you posted. Tan – I have been wondering for ages about what tan to use for my wedding. I’ve had two spray tans in my whole life and I don’t like them. I’ve liked a few different tans over the years but the one I’m choosing for my actual wedding is the new Irish tan Bellamianta. The lotion is my favourite, as it applies so easily onto my skin and I can see exactly where it’s going. I still haven’t perfected my hands, knees and ankles so I’ll just have to keep practicing for that perfect natural tanned look. Oh and if anyone tells you that it doesn’t smell, it does! It’s not bad, it’s just that normal fake tan smell but it does wear off. I guess that’s the odour neutralizing formula that’s stated on the bottle. Wouldn’t you know I wasn’t a beauty blogger! So that’s what I’ve been getting up to lately in the hope that I’ll be a decent looking bride. My other half has it so easy, he better appreciate my effort! Now where are my weights….